It happens the same way every autumn for me. The temperature finally dips below 65 degrees in the evening and I find myself looking for reasons to turn on the oven. Last night I decided to make a gorgeous roasted vegetable soup. It was a bit chilly and a bit rainy so soup seemed to be the perfect remedy for the gloomy afternoon. 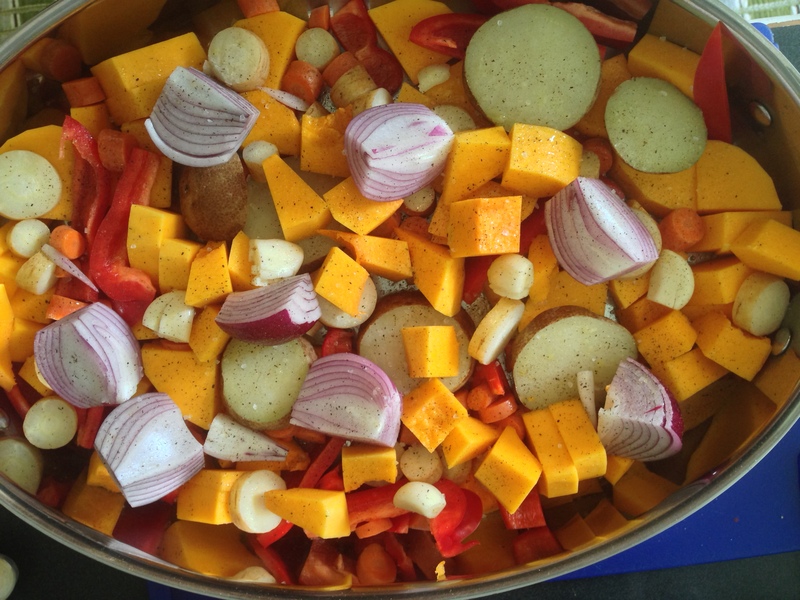 The hands on prep isn’t that much, but the roasting time and the soup simmering does take a couple of hours, so if you want to have this for dinner I recommend making it on a lazy, rainy day off. I generally skip peeling the veg, because there are lots of nutrients in those peels, and as long as they are washed with a scrub brush you’re good to go. That and it saves time with prep. Its all going to be pureed in the end anyway. I cut up everything rather on the large side, so it doesn’t over cook in the oven. I also prefer to parboil the carrots, parsnips and potatoes, just to ensure that they cook all the way through. 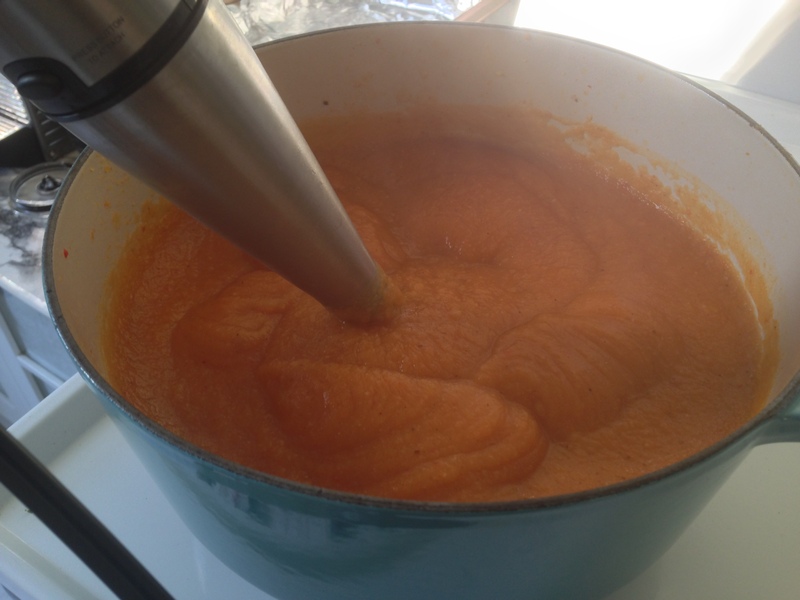 There’s nothing worse than hard bits of carrot in a nice creamy pureed soup. Once they are chopped I chuck them into a pot of boiling water and cook for about 5-7 minutes, drain. 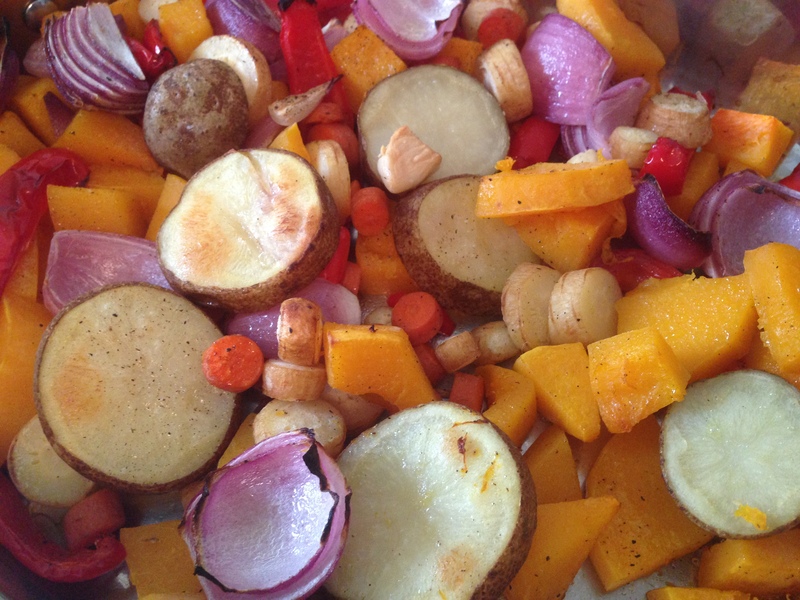 Then mix everything everything in a large roasting pan. drizzle with about 2 teaspoons of olive oil, season with salt and pepper. I have a nifty oil spray bottle that makes this step really easy. Roast in a hot 400 degree oven for about 45 minutes, until everything is cooked and the edges are a little burnt looking and your house smells amazing. At this point you could pop this into a big serving bowl and have a gorgeous side dish, but I put it into a big soup pot with 4 cups of chicken stock. Well, in all honesty I had about 2 cups of chicken stock so I made up the rest with water. Add the cumin and cayenne (totally optional, I like a little heat in my soup) Cover and simmer the soup for about 30-45 minutes, remove the pot from the heat and carefully use an immersion blender to blitz the heck out of the vegetables until everything is a nice smooth creamy consistency. If you don’t have an immersion blender you can blitz it in small batches in a blender. But be careful, as hot soup expands in a blender and can be dangerous. Just use caution. 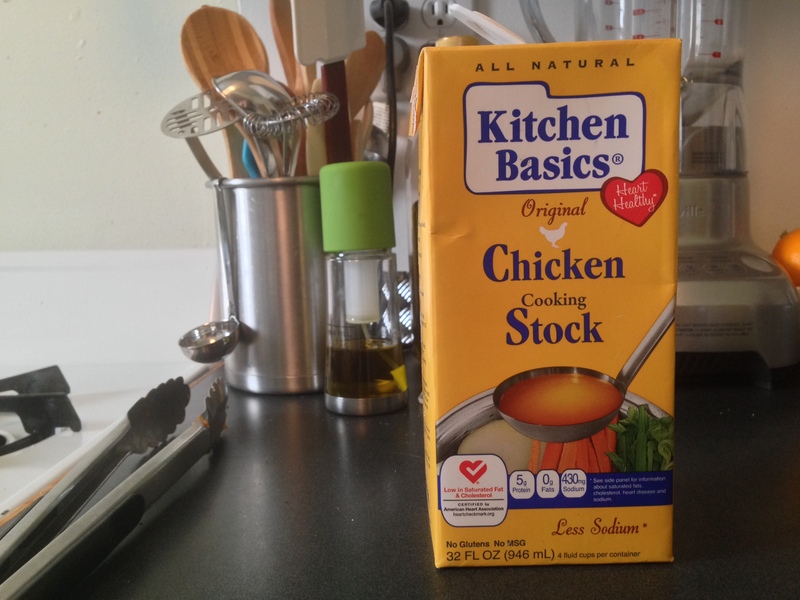 If the soup seems too thick you can add a little extra stock or water to thin it a bit. I like to eat mine with a little toasted crusty bread rubbed with a garlic clove. You can put a dollop of sour cream or greek yogurt on top, sprinkle with green onion, fried shallots, or a toasty cheesy crouton, whatever floats your boat. OK. Now I’m hungry! !